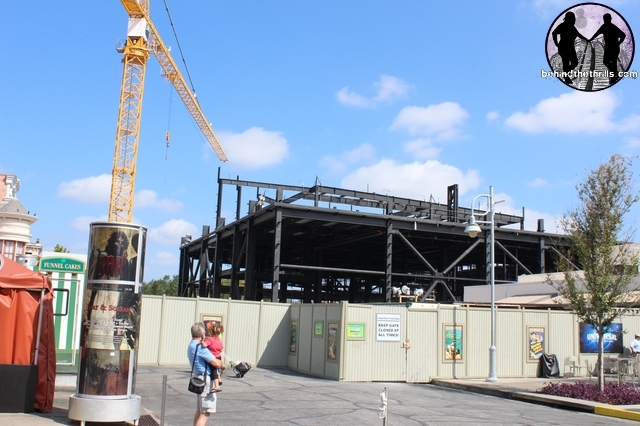 There is quite a bit going on at Universal Orlando construction-wise. At Universal Studios, they continue to work around the clock on Transformers, which was just announced last week. 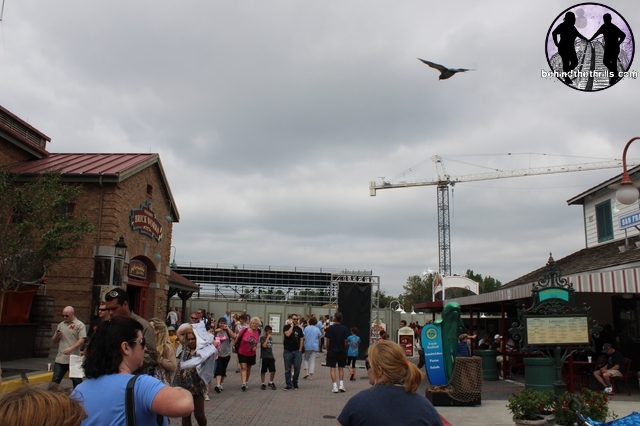 They also continue to work on the rumored Harry Potter expansion in the area that stretches into Islands of Adventure. On top of all the construction that’s been going on, they are also starting to set up for Christmas and they have given the Blue Man Group area a face-lift. 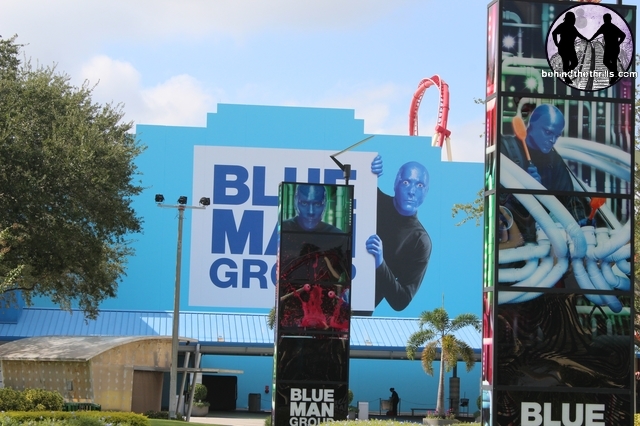 I’m honestly surprised they didn’t do this sooner, but they have changed the facade of the Blue Man Group building. Earlier this year, Universal Orlando put several new touches into their Blue Man Group show, including updated screen technology, new scenes, and a new and fun dance song that’s sure to get your shakin’ your rump. 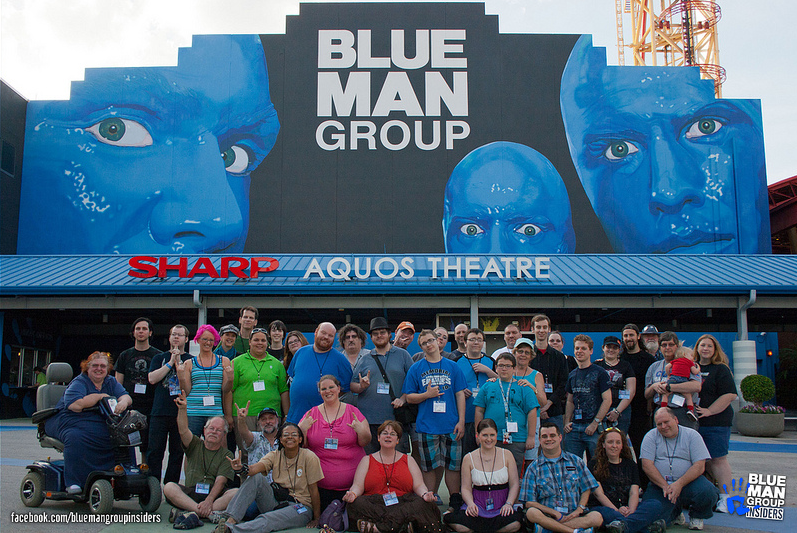 Now compare… This photo of the original facade was taken earlier this year during a Blue Man Group Insider’s meet up. Thanks to the BMG Insiders for the photo. Halloween just ended.. and Christmas doesn’t start until December 1st at Universal Orlando. They’re already preparing for the holiday season at Islands of Adventure, though. 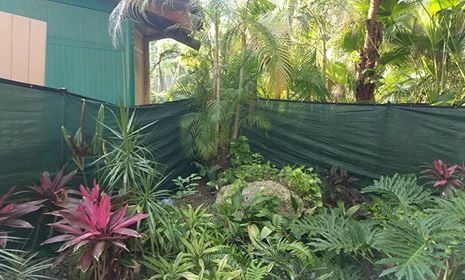 Several shops inside Jurassic Park already have Christmas trees. 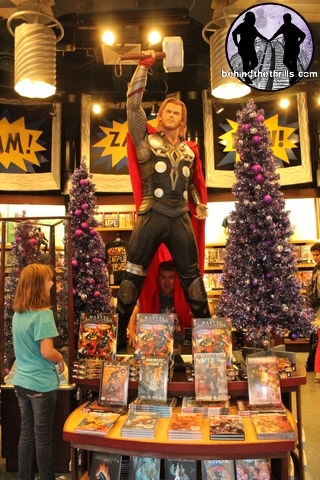 Even Thor is ready for Christmas. Universal announced Transformers is coming Summer of 2013 last week. During the announcement, they stated this project will come together the fastest compared to any other construction project of it’s complexity. Universal is showing no sign of slowing either, as they still continue to pretty much work around the clock to get it open. Since our last update, the construction walls have been pushed out even further. It wasn’t so obvious that construction was going on near Dragon Challenge, but now every guest entering the Wizarding World will notice the construction as walls funnel visitors right into the Wizarding World. Construction on the rumored Potter Expansion doesn’t seem to be moving as quickly as Transformers just yet, but things are still slowly progressing. 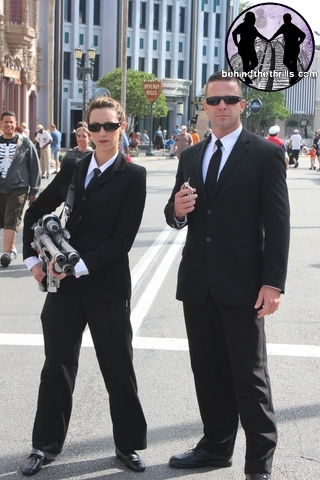 Of course, there is a bunch of other stuff going on at Universal, too. 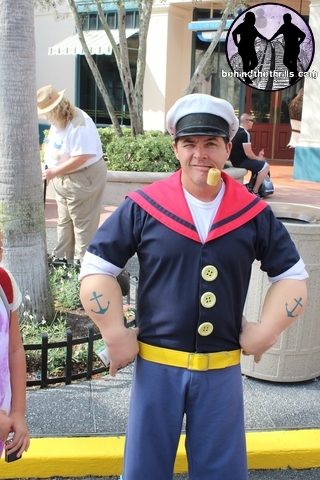 For example, we saw characters we rarely ever see, such as Popeye and MIB Agents. Previous PostSeaWorld San Antonio's Christmas Celebration kicks off November 17th Next PostRumor Mill-Two rides to be removed at Kennywood to make room for expansion?